• Removing air or gases from process vessels, tanks or other closed systems. • Vacuum handling and positioning of small parts. • Leak testing of various systems. • Used with vacuum cups in pick-and-place equipment. 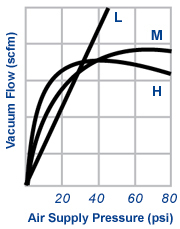 • AVR Series: Vacuum Flow .16 to 1.7 scfm, Vacuum Levels 18 to 27.5"Hg. 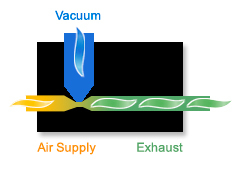 • AV Series: Vacuum Flow 1.7 to 6.8 scfm, Vacuum Levels 18 to 27.5"Hg. 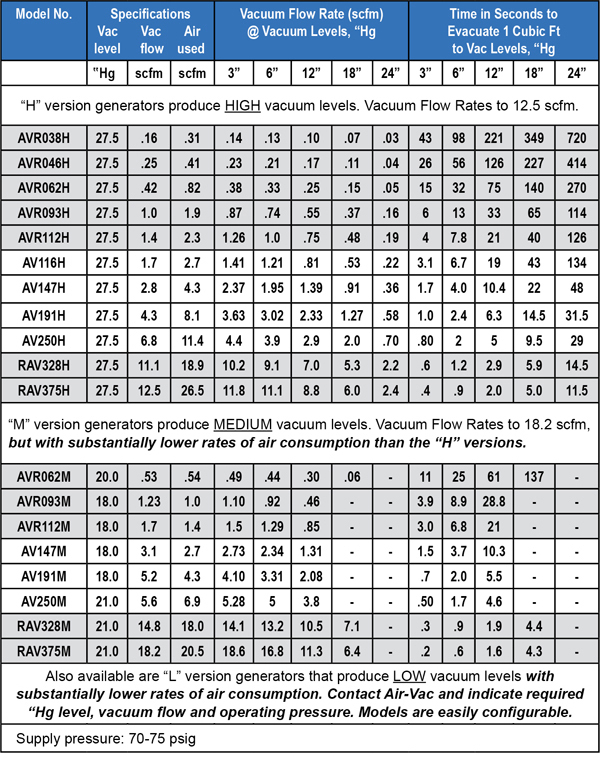 • RAV Series: Vacuum Flow 11.1 to 18.2 scfm, Vacuum Levels 21 to 27.5"Hg. • HAV Series: Vacuum Flow 13.0 to 29.0 scfm, Vacuum Levels 7.5 to 19.3"Hg.